Collector's Item! 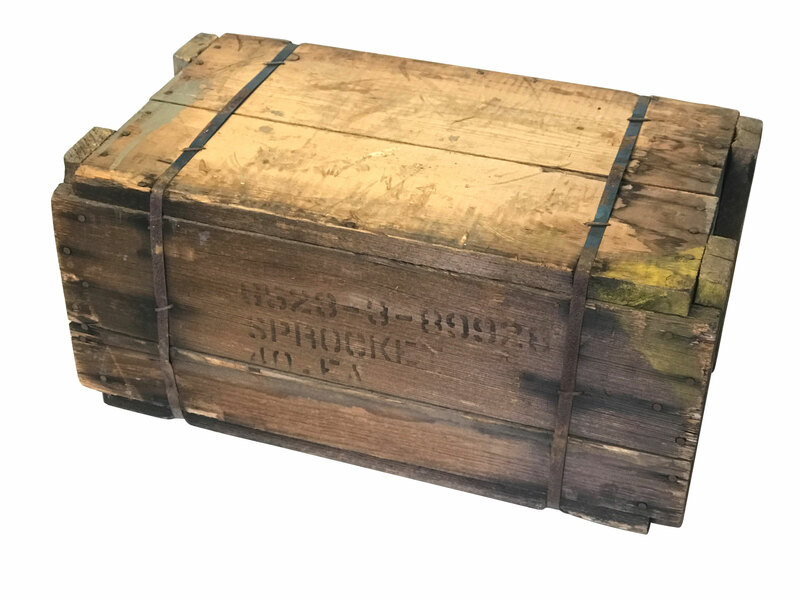 This is a military style crate featuring 40 Genuine Harley-Davidson Counter Shaft Sprockets used during the WWII era. 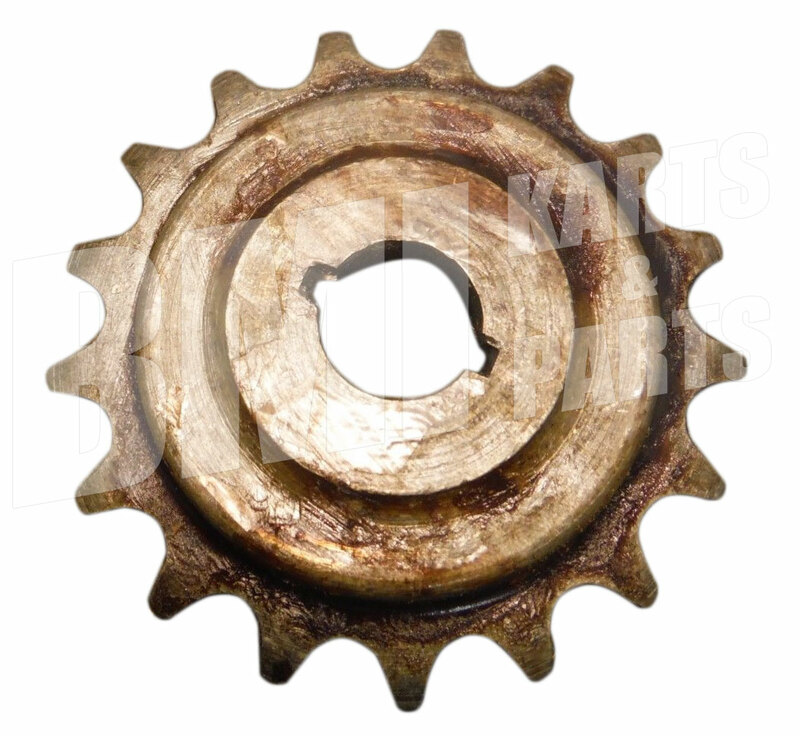 Inside are 40 individual counter shaft sprockets. They are packaged tightly in brown paper. 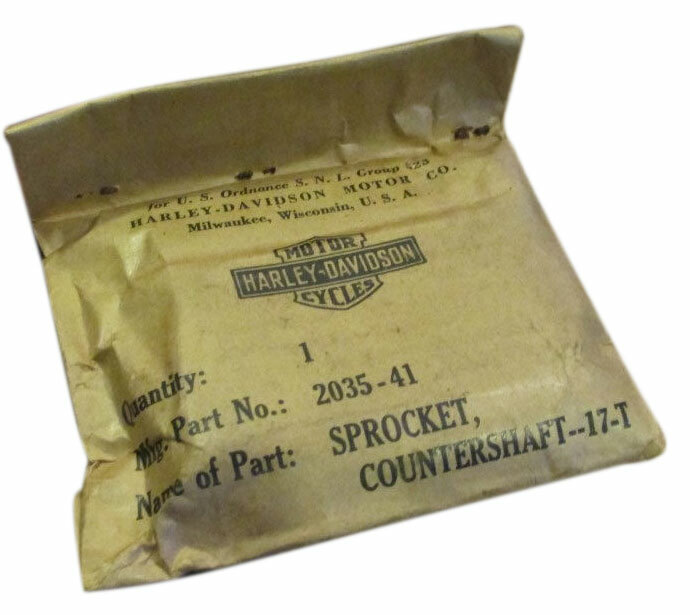 2035-41 Harley-Davidson Part Number labeled on each individual sprocket packaging.